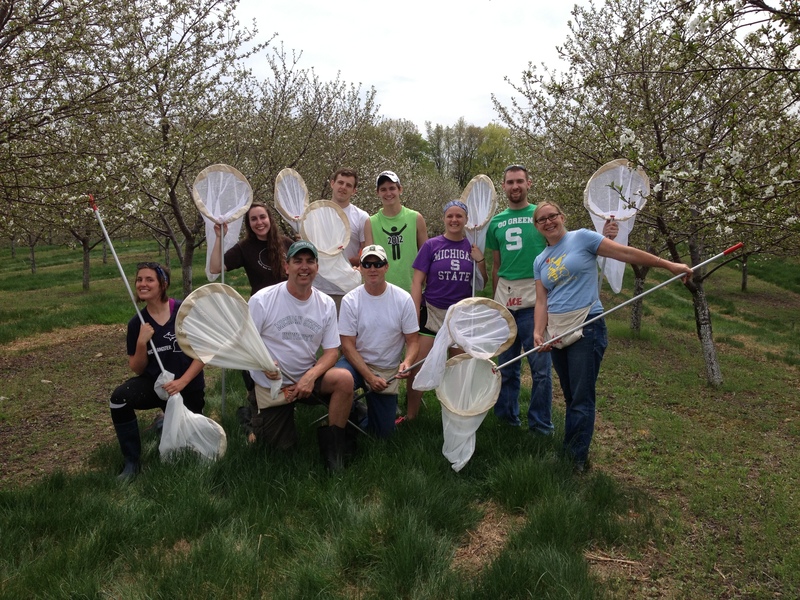 Nikki Rothwell (at right) with Project ICP Michigan cherry researchers and field assistants in spring 2015. Photo: Karen Powers. Michigan State University AgBioResearch recently profiled Dr. Nikki Rothwell, coordinator of the Northwest Michigan Horticultural Research Center, Project ICP researcher working on cherry pollination, and award-winning cidermaker. In 2008, she opened Tandem Ciders with husband Dan Young. The cider business is growing steadily, and the tasting room – close to the research center – is open year-round. Learn more in Rothwell’s AgBioResearch feature story and Q&A here: http://agbioresearch.msu.edu/news/researcher_qa_nikki_rothwell.